SpongeBob has given us many memorable quotes over the past 19 years but while our yellow sponge is the main character, it is Patrick Star that many people can quote and relate to. Remember when we were younger and we thought we had to outgrow cartoons? My friends and I still quote "SpongeBob Squarepants" even if we are at the intern stage and job search. 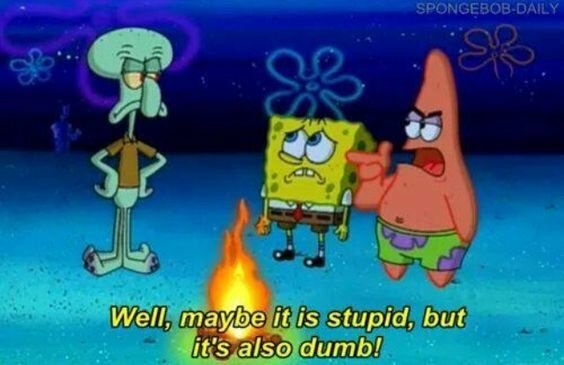 SpongeBob himself has given us many memorable quotes over the past 19 years but while our yellow sponge is the main character, it is Patrick Star that many people can quote and relate to. Here are 25 quotes by everyone's favorite starfish to get you through the day. 1. "We should take Bikini Bottom, and push it somewhere else!" In an attempt to save the town Patrick suggests moving Bikini Bottom to avoid the Alaskan Bull Worm. While the idea was shut down the town actually went through with it eventually. 2. "Where's the leak, ma'am? "/ "He makes me sick, just looking at him. Those big bulgy eyes, that square body, those two buck teeth, and that stupid tie! "/ "Oh, boy, a surprise party! Is it his birthday? "/"Finland"
While these all come from the same episode each of them is just as funny and need to put into a category of their own. Patrick obviously isn't the smartest creature in the sea but he always knows how to make us smile. 3. 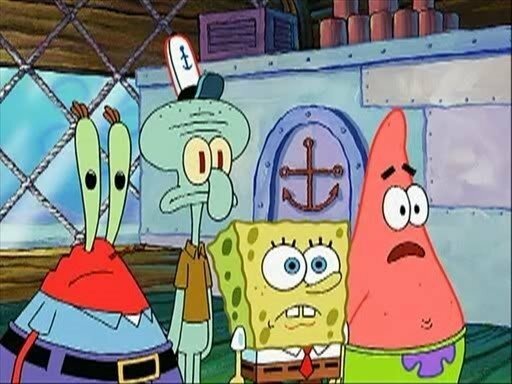 "I can't see my forehead"
Probably one of the smartest things Patrick has ever said during the show. We can all relate to this statement and we can't help but smile when we hear Patrick say this reason for anger. 4. "We're not cavemen we have technology"
After getting paint on Mr. Krabs' dollar Spongebob and Patrick look for ways to get the paint off. Patrick does make a good point before smashing an expensive computer on the dollar to get the paint off. 5. "Two giant paint bubbles"
Well, he did answer the question of what could be worse than one giant paint bubble. 6. "Once there was an ugly barnacle he was so ugly that everyone died. The end"
There are just some things you shouldn't say to try and cheer up your friends Patrick. Maybe Patrick shouldn't pursue a career in sales. 8. "And then comes a giant fist!" 9. "East? I thought you said weast?" It's ok to be confused sometimes. 10. "My name's not Rick!" 11. "Is mayonnaise an instrument?" This question has plagued society for the past decade and we still don't have an answer. 12. "Leedle Leedle Leedle Lee." 13. "Firmly grasp it in your hand!" 14. "Is this the Krusty Krab?" "No this is Patrick." 15. "Haha haha it's a giraffe." 16. "The inner machinations of my mind are an enigma." These are pretty big words for Patrick actually these are pretty big words to be used in a show designed for kids in elementary school. 17. "Who you calling Pinhead? "/"I'm Dirty Dan." 18. "Well, maybe it is stupid but it's also dumb." Honestly I'm still trying to figure out how it took Patrick so long to learn this. 20. "Return what to who? "/"It's not my wallet." 21. 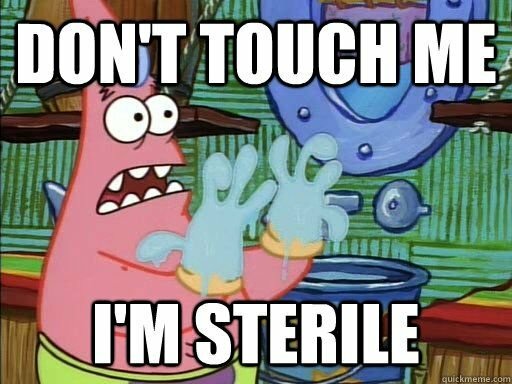 "Don't touch me I'm sterile." Whether we knew it or not Patrick was actually teaching children about hygiene even if he was impersonating a doctor. 22. "Are you Squidward?" "That's OK take your time." 23. 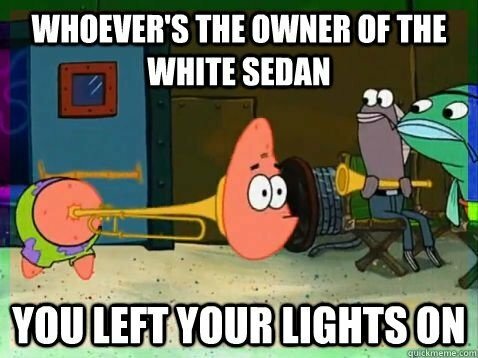 "Whoever is the owner of the white Sedan you left your lights on." The battery could've died if Patrick didn't say something. 24. "Because you told me too." 25. "You got it set to M for Mini when it should be set to W for Wumbo. You know, I wumbo, You wumbo, He she me wumbo, wumbo, Wumboing, We'll have thee wumbo, Wumborama, Wumbology, The study of wumbo? 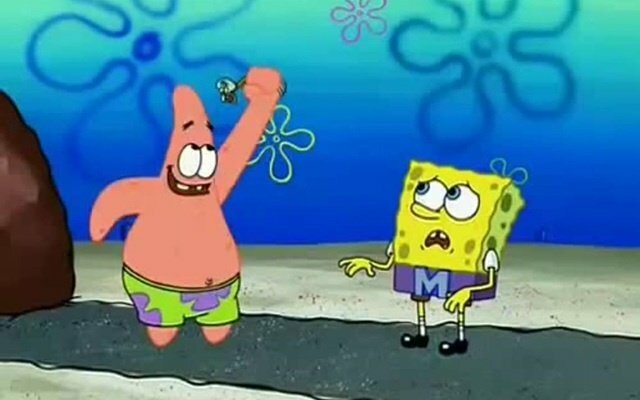 It's first grade, SpongeBob!" I still don't know how to use wumbo in a sentence but Patrick seems pretty optimistic about the word. This phrase is a classic and you can't help but smile each time you hear it from someone else.